He played for Mumbai Indians previously. The Delhi Capitals (DC) were hamstrung with an injury to one of their talented players in Harshal Patel. He fractured his right hand in the game against the Kings XI Punjab (KXIP) and the recovery period of three-four weeks meant that he was ruled out of the ongoing Indian Premier League (IPL) season. The franchise then organised the trials in Kolkata for Harshal’s replacement. Even Manoj Tiwary attended those trials but then confirmed early on Saturday that he hasn’t been picked. However, the Times of India has reported that Jagadeesha Suchith has replaced Harshal Patel for the remainder of the season. His left-arm spin option along with his batting will provide the much-needed balance to the team. 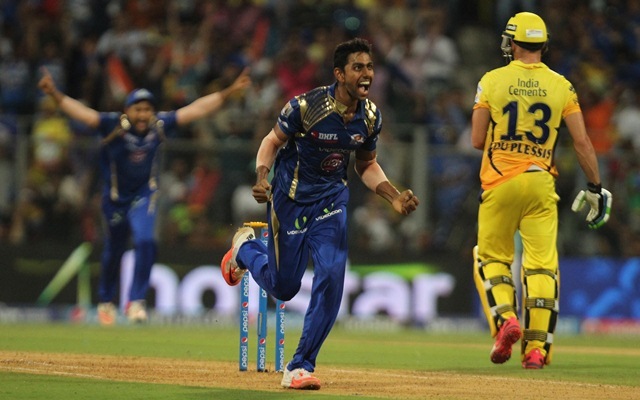 Jagadeesha Suchith is a like-for-like player for Axar Patel. It will be interesting to see if he gets a chance when Axar has been doing consistently well for the team. As far as Suchith’s T20 performance is concerned, he did well for Karnataka in the Syed Mushtaq Ali Trophy this season. He has also played for the team like Mumbai Indians before and his experience will come in handy for the Delhi Capitals. Suchith has played 43 T20 matches so far and has picked 37 wickets while scoring 188 runs with the bat. He is known to be an economical bowler and would love to prove his mettle if the team gives him an opportunity. As far as Delhi Capitals is concerned, they are currently at the fourth position in the points table and will be facing the Sunrisers Hyderabad (SRH) on Sunday at the Rajiv Gandhi international stadium. They are coming off a brilliant victory over the Kolkata Knight Riders (KKR) thanks to a scintillating knock from Shikhar Dhawan and will be hoping to continue taking down the big teams.